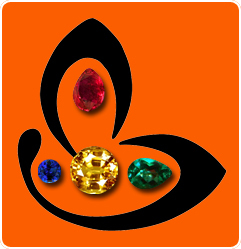 Comments A flawless fully natural Hessonite Garnet with eye clean clarity, and the most desirable and preferred Deep Burnt Imperial Cinnamon color from Ratnapura Sri Lanka! This Hessonite also has the most brilliant Scintillation and lustre! 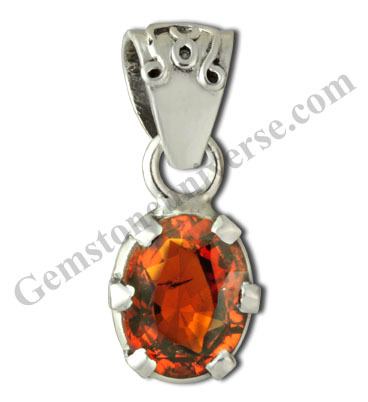 Gomedh or as Hessonite is also known, is one of the most fast acting gemstone for the North Node – Rahu! A Jyotish talisman of great powers! The Mystical north node symbol at the apex on the pedant loupe adds to the character and the mystique of this Hessonite.